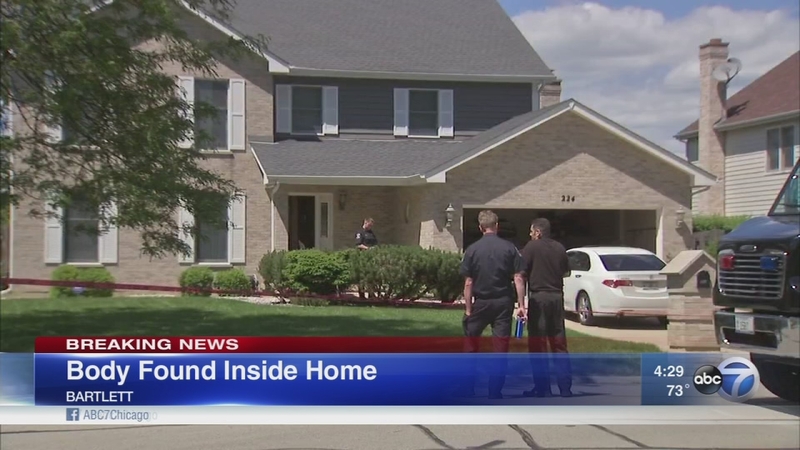 BARTLETT, Ill. (WLS) -- A body that was found Wednesday morning in a home in west suburban Barlett has been identified and police are investigating the death as a homicide, officials said. The body was identified as 58-year-old Nancy Madonia. Authorities did not say how Madonia died. Bartlett Police Commander Michael McGuigan said the DuPage County Coroner's Office is conducting the autopsy on Thursday. The DuPage County Coroner's Office, the Bartlett Police Department, the DuPage County State's Attorney and the Cook County Major Crimes Forensic Unit are investigating.